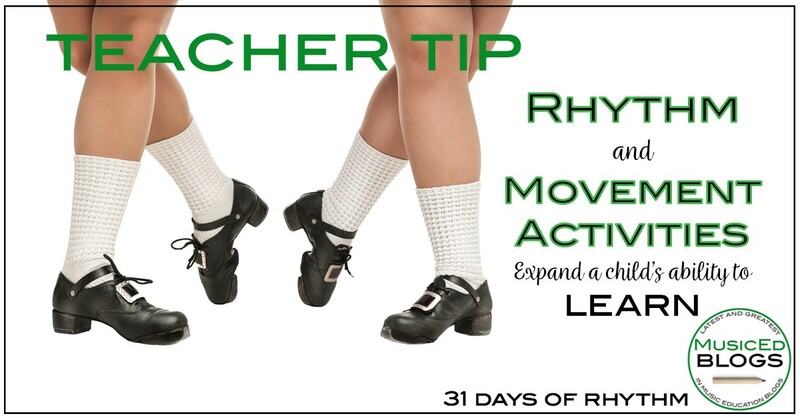 I’m teaming up with some Music Teacher Friends and each of us are sharing some different ideas during March on the theme of “31 Days of Rhythm” (#31daysofrhythm). 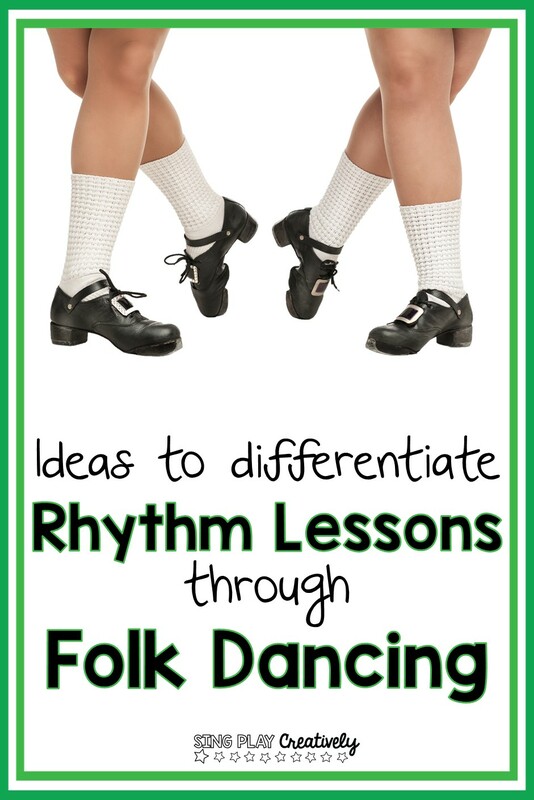 Since I love to dance, I’m sharing some ideas on how to differentiate Rhythm activities through Folk Dancing. Spring is in the air and my students begin to get a bit more wiggly. 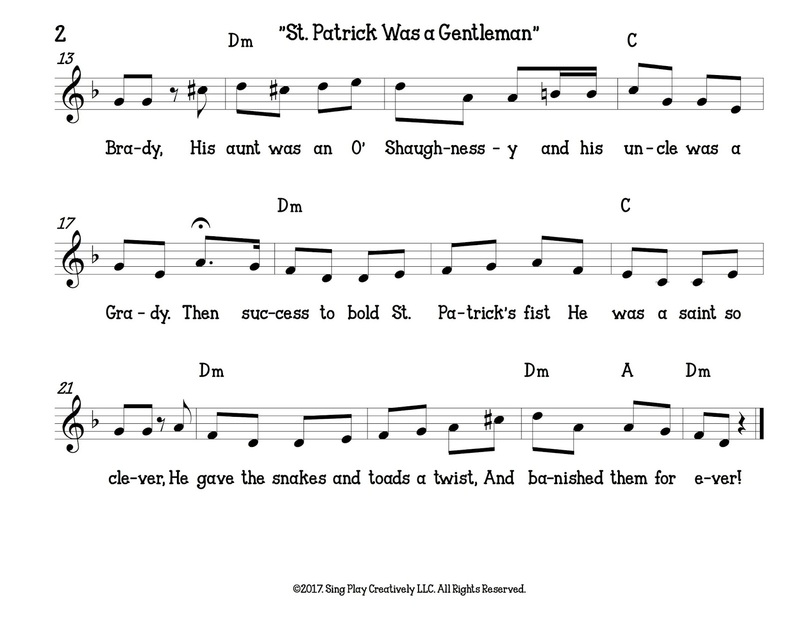 That makes March the perfect time to folk dance and I like to make it Irish. Folk Dancing gives students an opportunity to sing the melody, step or move on the beat and clap, tap, snap, yes “Feel” the rhythms.Teaching Tip: Rhythm and movement activities expand a child’s ability to learn. You can find a nice piano accompaniment here at Songs for Teaching. One good technique to get students more motivated to keep trying is to point out the students who are “getting” it. Later I’ll have the 2 circles compete with each other, but while we’re learning, I keep everyone together. Form a double circle with partners facing each other. Hold hands with partner (or place hands on hips) Sashay 8 beats to the left. Sashay 8 beats to the right. Swing partner Right arms joining for 4 beats. Switch arms and swing 4 beats. Walk to the center 4 steps and clap on beat 4. Inside circle faces clockwise and walks two places as the outside circle also walks counterclockwise (opposite) passing 2 students shoulder to shoulder. Stop and form new partners. Clap during the intro with a 1 foot stomp on beat 1. 8 beats- circle to the left on the beat, sidestepping. 8 beats- circle to the right on the beat. (8) 4 steps to the middle on 4 beats- step backwards to place on 4 beats. Clap on the beat as you walk in and out. 8 Repeat walking in and out. Clap and stomp during the interlude and begin again! This is one my favorite dances to do with my 3rd graders. directions are adapted for an elementary classroom setting. students read aloud the lyrics. rhythms as they say the words. 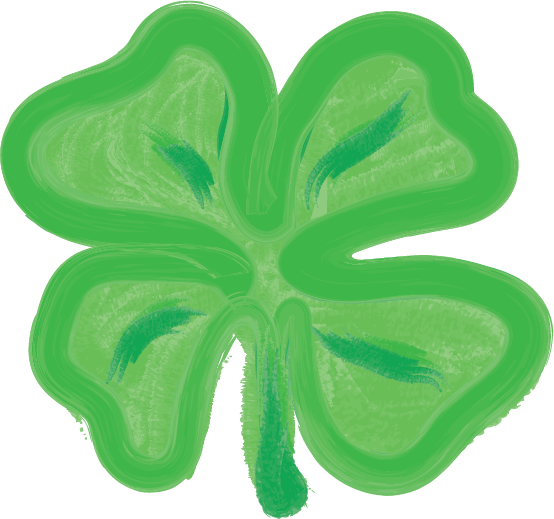 Success to bold Saint Patrick’s fist he was a saint so clever. snakes and toads a twist and banished them forever. I don’t have students sing the whole song-just verse 1 and 2. Here’s a simple Bod-ran (drum) and Melody accompaniment to use to practice. This version from YouTube has a great accompaniment and the video is okay. I usually modify the dances I’ve learned so that students can be dancing in 1 class time. One thing that I emphasize is how to side step or sashay on the beat. You’ll see in this video that she’s taught her students to slide side to side and not walk around the circle. I also tell my students that they are “professional Irish Dancers” and that hands are on the hips when we dance. We’ll practice side stepping on the beat first in lines. I have them practice 8 beats to the left and then 8 beats to the right very slowly. 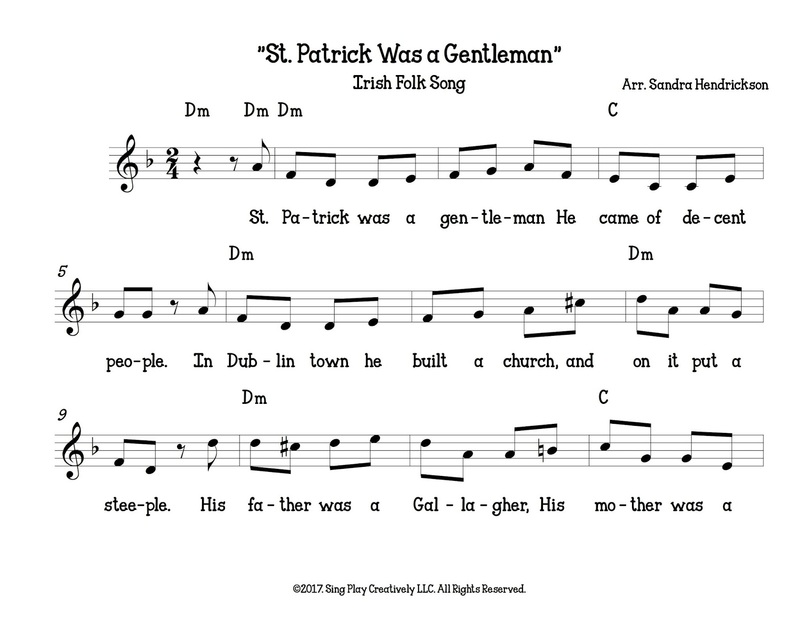 This Video isn’t very good-but the music is authentic Irish music. You could use the music to do the dance. Then we form the circle. I like to place students boy-girl-boy-girl around the circle-hands on hips. I show the students how to side step around the circle working with neighbors to keep the movement on the beat and the circle in a nice shape. This is how I’ve taught the steps to the dance. I typically use patterns of 8 beats which makes it easier for students to remember. Form- all the right moves, hands on hips, smiles, correct steps. Teamwork- helping each other (not bossing each other) and dancing as a group not just for themselves. Singing and Dancing together- This is tough for some kids, but I encourage them keep trying to sing and dance. I have the class practice a couple of times and then I have them perform for each other . Sometimes it’s hard to choose and others-it’s not. I have found that it comes down to “teamwork” 90% of the time. The teams that work together, achieve together. If time permits, I’ll let the students participate for their teacher. 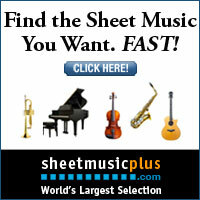 Improvise simple rhythm patterns on small hand drums, wood blocks or rhythm sticks. Students could work in small groups or individually. Have the students write the rhythms down. Clap the rhythms first, then apply instruments. Have a small group of students play along with the rest of the class singing. My students really like to watch the “Riverdance” troupe. Here’s several of my favorite videos. There’s so many to choose from, but this final performance has some nice solo work that most likely will astound students. 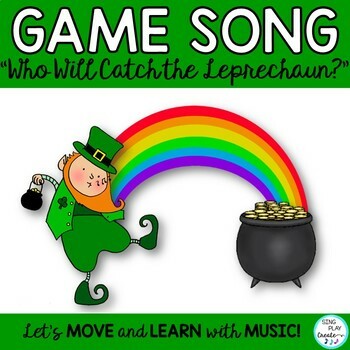 If you’re interested I have several Irish Dance Resources in My Teachers Pay Teachers Store. They are yearly class favorites.